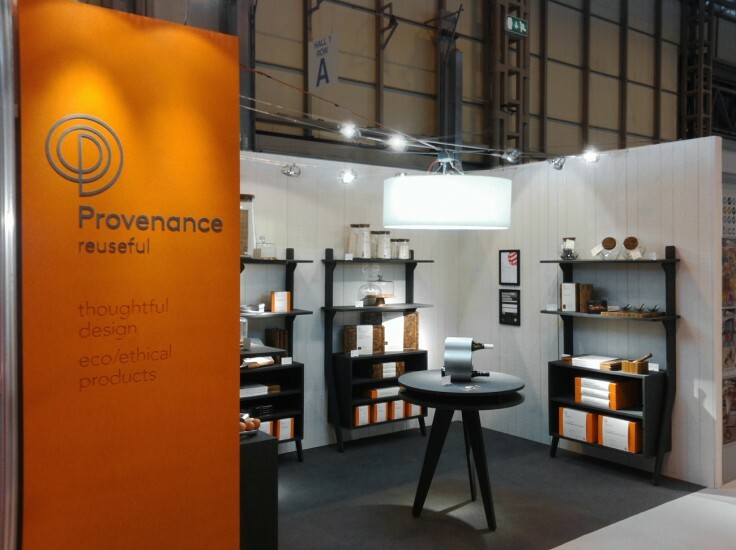 Designing an exhibition stand for eco/ethical homewares brand Provenance was a multi-layered challenge. Firstly, exhibition construction typically uses materials like MDF that have questionable ecological profiles. Most stands are also very disposable, often being used once only. Beyond this the stand had to promote products to retailers in an shop-like environment but it also needed to reference the kitchen environment that would be the products’ ultimate home. Jog sourced and used innovative and eco-friendly materials (zero MDF was used) and designed both the stand and the furniture so that it could be readily flat-packed and reused. The form of the furniture references that used in retail homewares departments, traditional kitchen dressers and modernist shelving systems, creating the perfect blend for the brand and the task. 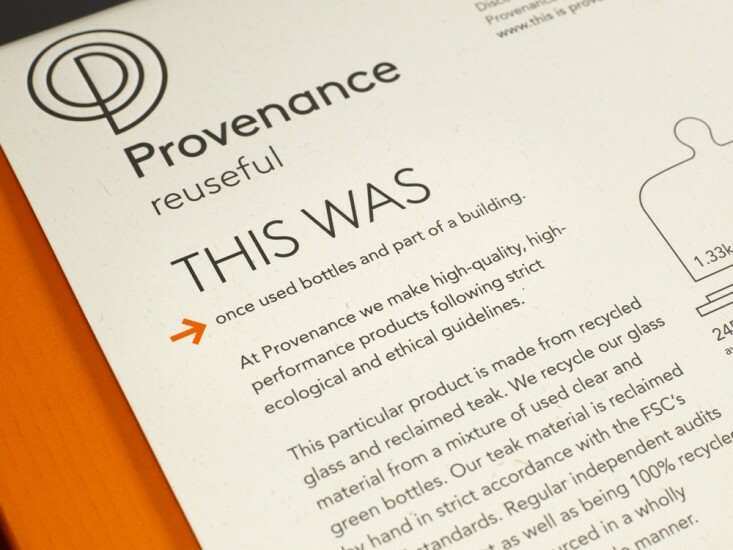 Jog was commissioned to create the branding for new eco/ethical homewares brand Provenance. 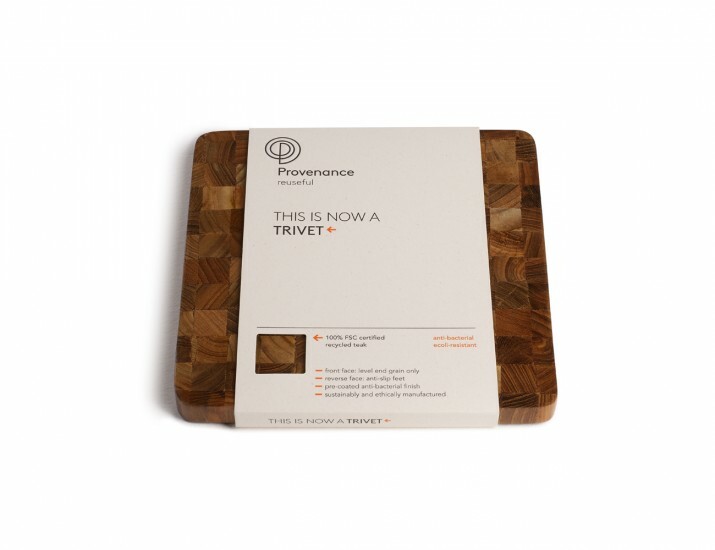 Provenance designs and manufactures high-quality kitchen and tableware products from recycled teak, glass and aluminium, following strict ethical standards. As part of its branding process, Jog questioned where the brand might sit in ten years time. It concluded that the market for green products was likely to be much more crowded, or, less likely, much less important. Either way it was clear that brands which rely on green credentials alone would be in a weak position. In response Jog created a positioning for Provenance that had core values beyond eco and ethical, namely usefulness and high quality of design and manufacture. This positioning was expressed in the simple single-word tagline ‘reuseful’. Jog’s logo for Provenance is a monogram that simply and distinctively conveys the message of up-cycling. 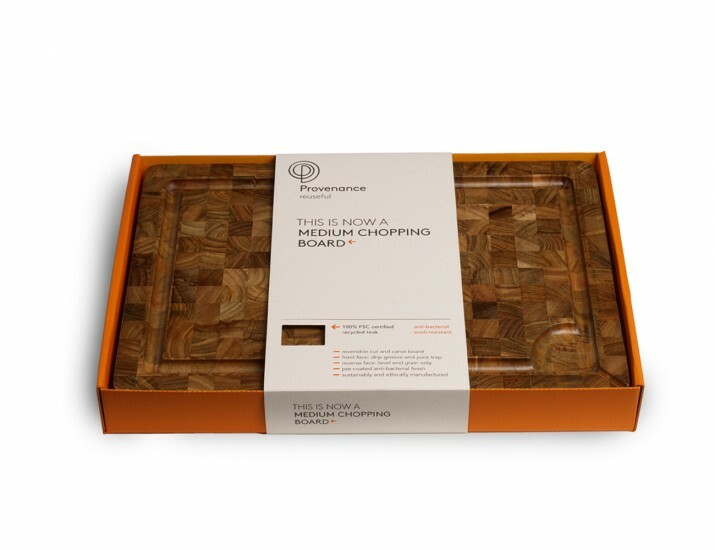 The corrugated board for the bright orange boxes is made from 100% post-consumer waste. The eye-catching colour helps draw the shopper’s attention to the brand since packaging is routinely placed below eye-level in the home wares departments. 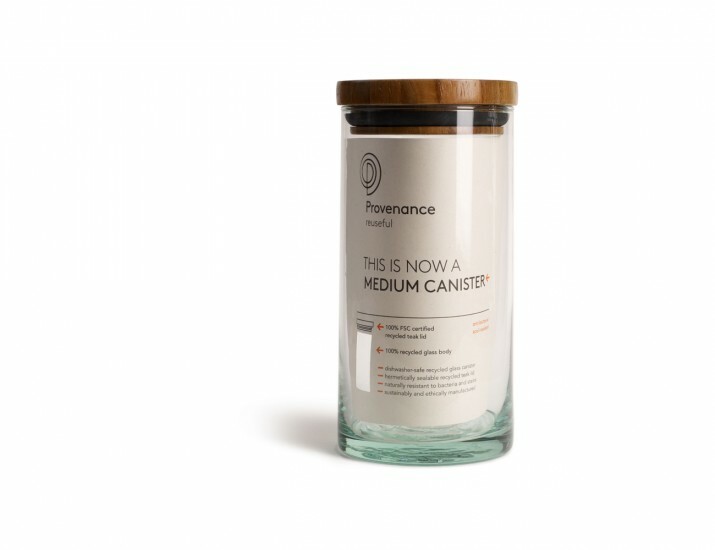 Provenance is an eco-friendly and ethically-sourced homewares brand. Jog was commissioned to create the brand strategy, key brand messaging, brand identity and packaging. Key to the identity is a strong typographic signature. The strapline ‘reuseful’ and the use of ‘this is now’ and ‘this was’ on the packaging draws people into the story of the materials the products are made from, not just that of the products themselves. The brand’s eco/ethical ethos was carried through into the choice of materials for packaging, print, signage and exhibitions. All materials were recyclable, most were wholly or largely recycled and a strong emphasis was placed on reuse: the orange boxes, for example, are left unprinted to encourage secondary usage. 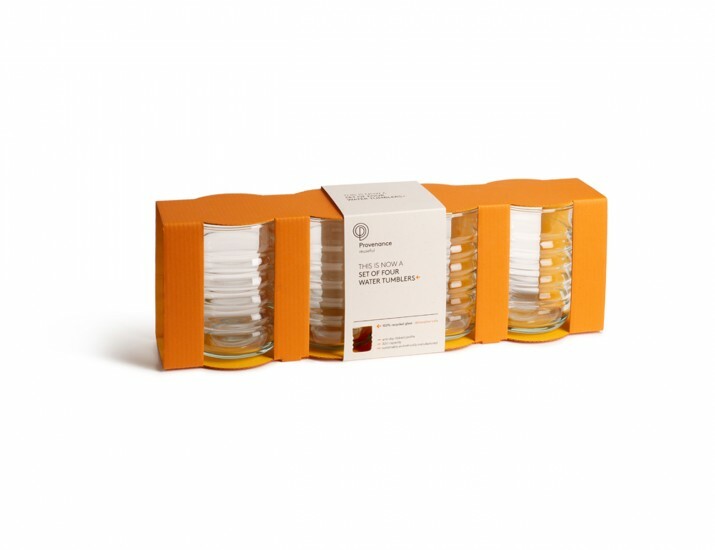 In-store research by Jog led to the choice of bright orange for the retail packaging boxes. Packaged products are routinely placed low down by retailers and strong use of colour helps draw people’s eyes to the brand. 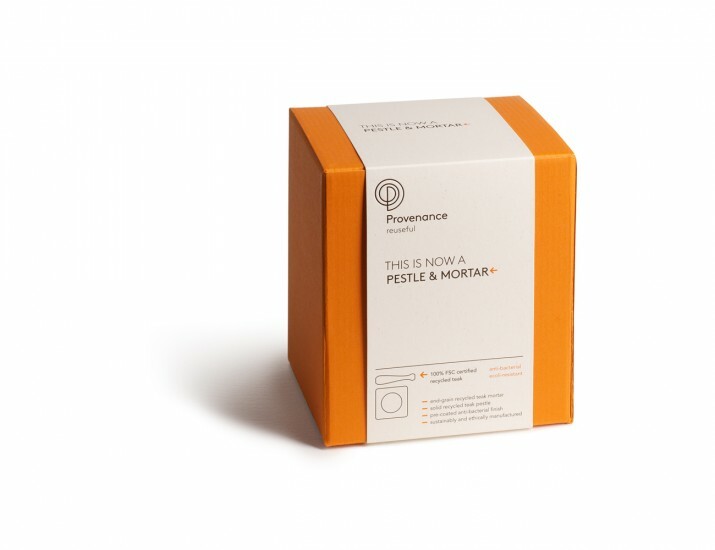 The brand’s orange boxes are made from 100% post-consumer waste. They are self-coloured to minimise the visibility of in-store damage and reduce the need to repackage. They are left unprinted to encourage reuse after purchase. The outer-sleeves use a durable board which is made using pulp from post-consumer and FSC-certified sources. Ink coverage is minimal and the sleeves are blind-embossed rather than foil blocked to ensure recyclability. Jog’s logo for Provenance is a simple monogram that represents upcycling. Copywriting is at the heart of Jog’s solution. A narrative begins on the front of each pack with the words ‘This is now’ appearing before each product description to hint at the interesting back story. On the back you find ‘This was’ as the lead into the story of how the materials for each product were sourced.